What's the most you ever lost on a coin toss? 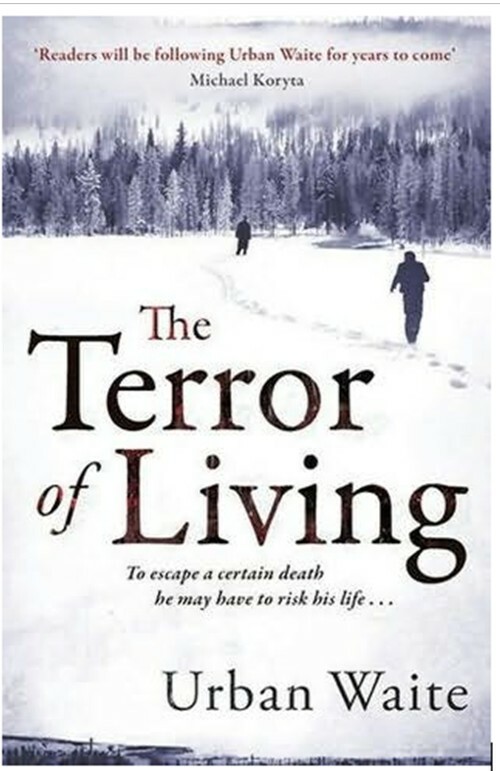 The Terror of Living by Urban Waite is an action thriller set in the mountains between Canada and Washington State. The set up is a familiar one, in fact, fans of Cormac McCarthy will get a real kick out of this. Whilst the style isn’t quite in the same league as McCarthy’s stark, poetic prose; Waite delivers a taunt, edgy and bloody tale of ‘good people who get involved in bad things’ which seems to be a running theme of the book. Ex-con Phil Hunt supplements is scarce income by dabbling in some drug running. When the deal goes south (he’s apprehended in the mountains by Deputy Sheriff Bobby Drake) he scarpers, leaving the drugs, his nameless accomplice and some very pissed off dealers who decide a clean-up operation is needed to not only cover their tracks, but retrieve the lost merchandise. I really enjoyed this book. In fact, I can pinpoint the exact point when I knew this would be the book for me. It’s when someone has their neck snapped. Brutality prevails in grasping my attention, and boy, did this get my attention. Although, you can tell what characters Waite enjoyed writing about and what characters he didn’t. The character of Grady for example, is a writer’s joy to create. He’s a complete psychopath. A monster. A dragon. A portal into a world of chaos. 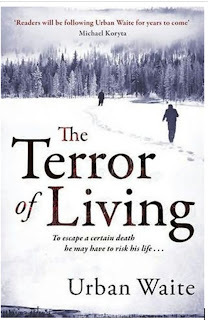 His obsession with knives, his compulsive need to destroy everything he encounters – the maddening insight into his mind. It’s an incredibly complex and well-written character, and one I actually cheered for. Likewise, so is Hunt – a man just trying to do the right thing, dogged by a shady past, but determined to make amends anyway he can. He’s an everyman, but his persistent need to survive, the love for his wife drives him and he becomes the one you root for, more so that Drake, who to all intensive purposes looks like Officer Dibble. Drake however, is a rather poor and ineffectual character – but perhaps this is deliberate. He, as well as Driscoll (FBI agent called in to protect Drake and also in pursuit of Hunt) are always one step behind Hunt and Grady. They are ineffectual – contributing dumb “I told you so’s” towards proceedings. Drake never feels like he’s in charge; although whilst reading I did envisage a Raylan Givens quality towards him, he never had that attitude or instinct, rather the look and not much else. I blame the hat personally, which was practically a supporting character, much like Grady’s rifle. The action does jump about a fair bit – we see through the eyes of a multitude of other characters, including the grim-Vietnamese who are simply there as hired goons who you would not want to meet on a dark night, not to mention someone only known as ‘The Lawyer’ who’s fate is a grisly “and now I must scream” moment. Would I read anything by Waite again? Most definitely; his style is incredibly taunt and concise – the level of detail, the skill in which he paints this picture in your head of the surroundings, the violence, the terror is something that pulled me in. Yes, there are similarities to No Country For Old Men; he even thanks McCarthy and that book in the notes at the end – but for me, this was an exciting, engaging and bloody thriller that I strongly recommend. It’s a simple cat and mouse story all in all; with perhaps several more cats pursuing the mouse. And these cats have guns and knives and the mouse has a shotgun. The Walking Dead Comics: Open-Ended Twaddle or Compelling Chaos? Simple theme. Theme images by sbayram. Powered by Blogger.